We love to be outside all of the time, but sometimes we are just stuck indoors and there isn't an option to be outside. Sometimes it is too hot... or too cold, or there's a baby napping... and you're just stuck inside with a toddler or preschooler or a boat load of kids of varied ages. I love having a list of ideas in my back pocket to pull out when the usual favorite play activities have been exhausted or kids just want another idea besides playing with their toys. 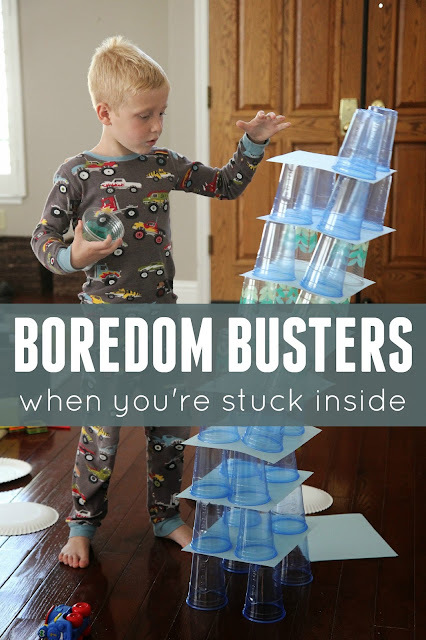 Many of these ideas below are classic activities that my kids love to do again and again. 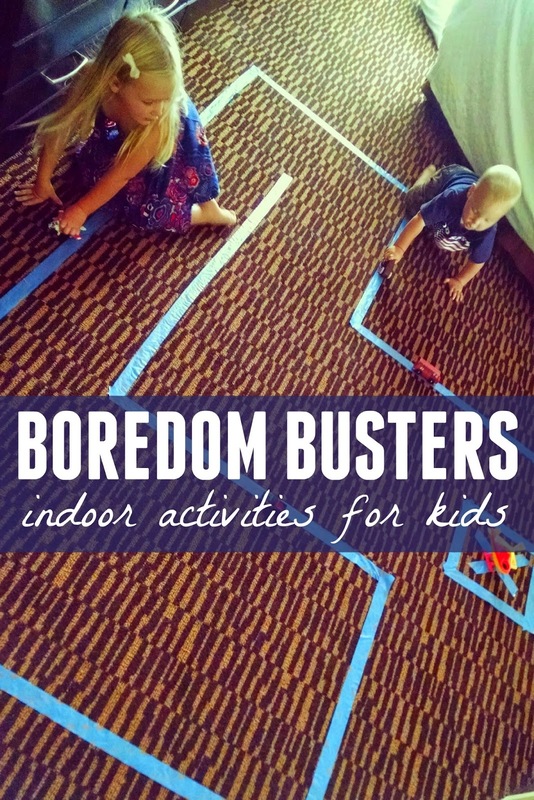 Here are a few of our favorite boredom buster indoor activities for kids and several that were shared by the awesome folks over on our Toddler Approved Facebook Page. Host a balloon tennis match! These are 20 of our favorite activities... what are yours? Let's make this blog post a huge resources of boredom busters so please add your ideas in the comments below so that the rest of us can try them out. Head on over to our Toddler Approved Facebook Page for more ideas from our awesome community!